I am honoured to be the new co-chair of the Climate and Clean Air Coalition. This coalition is a coalition of champions. Over the last couple of years it has put short-lived climate pollutants on national and subnational agendas. Now we have the new IPCC Special Report on 1.5C which calls for speed and urgency – and this is making our work and role even more relevant! Change always happens with a small group of people, institutions and countries who lead the way. With this coalition we have the nexus of scientific evidence for policy and action. It is a unique setup, a setup of actors which can deliver in these three areas. As co-chair I would like us to remember the millions of people who can and should benefit from this work. They may not be here, or obvious to us in our day-to-day work, but we should visualize them watching us, and demanding efficiency, effectiveness and results. The Coalition has a challenge going forward. We need to think of the financial sustainability of the CCAC. We need to collectively think about how we fund this partnership over the next two years and how to get larger contributions to carry on this important work. I am confident looking at our track record that we can do this. As the baton is passed to Switzerland I would like to express my deep thanks to Canada for the excellent job it has done in chairing this coalition and the dedication and leadership it has shown. They have been there since the beginning, they are one of the largest contributors to the CCAC Trust Fund and they have acted, at all levels, nationally and internationally, to further the cause to reduce short-lived climate pollutants. We thank them and look forward to their continued contribution as an important partner to this coalition. The report is the first comprehensive scientific assessment of the air pollution outlook in Asia and the Pacific. It details 25 policy and technological measures that will deliver benefits across sectors. 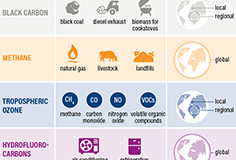 The special report 'Global Warming of 1.5°C' says emissions of methane and black carbon need to be reduced by 35% or more by 2050. 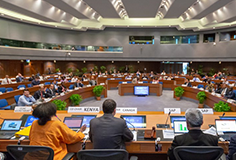 This will encourage countries to ramp up efforts to reduce SLCPs. 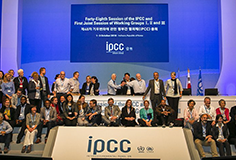 Partners shared updates on their work to integrate air pollution and climate actions and discussed efforts to ramp up ambition to reduce SLCPs following the IPCC 1.5C report release. New WRI/Oxfam working paper explains why reducing SLCPs should be part of every country's climate and development agendas, and how countries' NDCs can produce effective, equitable actions. 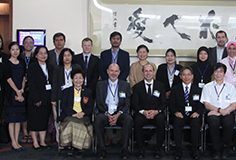 The Coalition and partner ICCT sponsored regional meetings in Southeast Asia and South America to define the regions' first technical workplans towards soot-free transport. New coalition brings together doctors, nurses and public health practitioners around the globe to advocate for aggressive clean air policies that protect health. Oak Foundation: Not-for-profit organisations who have not been invited to apply by a programme officer can submit unsolicited requests for funding through a letter of enquiry process. Ashden awards: This year's competition features a clean cooking category in recognition of organizations accelerating the uptake of solutions that reduce indoor air pollution, improve health and protect the environment. Closing 6 November 2018.